It’s just like any other Friday evening at Nyugati Railway Station. Everybody is busy catching their trains or picking up friends or family. But at platform 9, something unusual is happening: there is a strange crowd all dressed up, drinking champagne by the train. People who are waiting on other platforms observe the scene with curiosity and also with a bit of surprise on their faces. 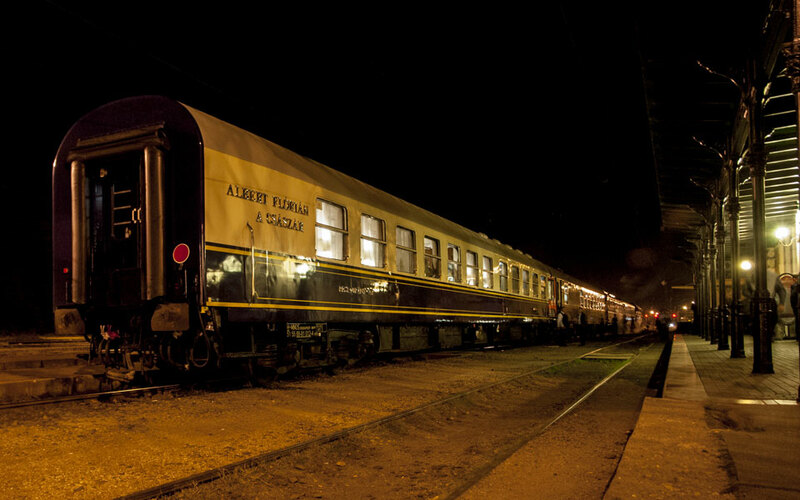 They probably don’t know about the Candlelight Express, operated between Budapest and Gödöllő by MÁV Nosztalgia (the Nostalgia Branch of the Hungarian Railways). 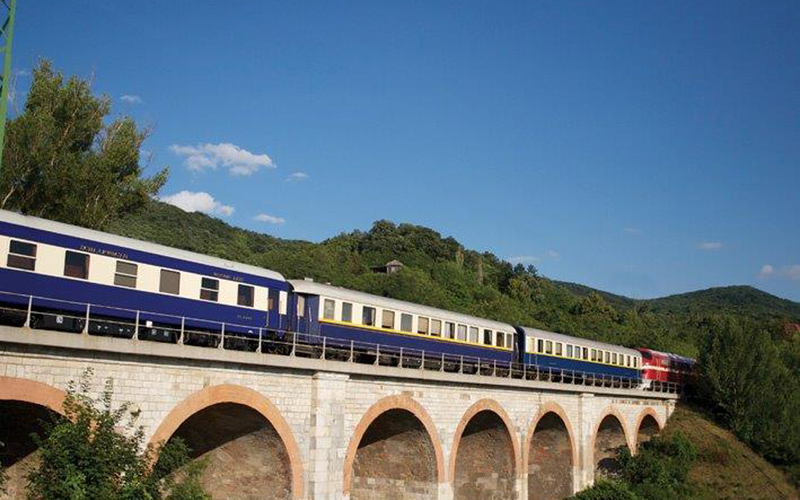 The 3-hour-long journey, which includes a gourmet dinner on board, takes passengers to Gödöllő where they enjoy a concert at the Royal Waiting Room and then travel back to Budapest. We arrive at platform 9 around 6:30pm so that we can take some pictures before the train is filled with passengers. 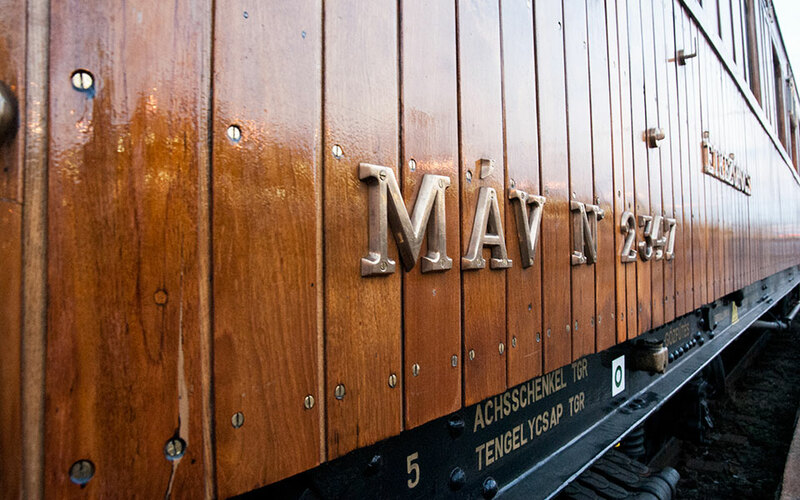 After receiving a warm welcome from the MÁV Nosztalgia staff, we continue on the platform to check out the train for ourselves. 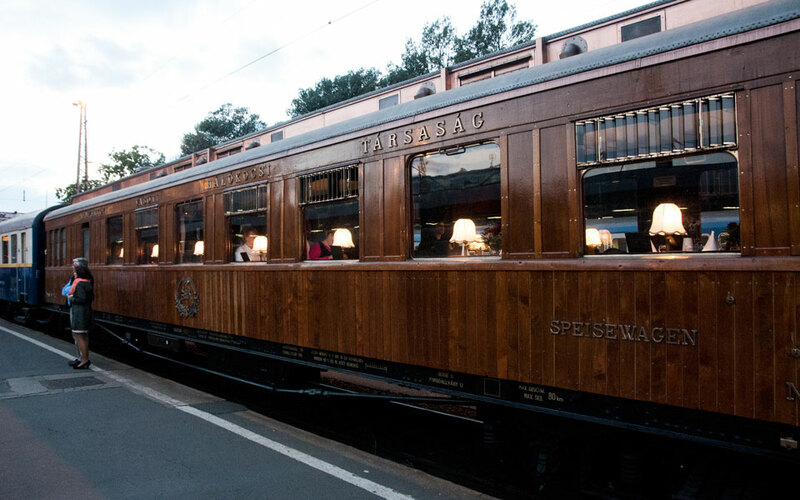 Among the cars, there is a very special one, the 100-year-old original teak wood Orient Express restaurant car. As I go closer, I read the sign: NEMZETKÖZI VASÚTI HÁLÓKOCSI TÁRSASÁG (International Sleeping-Car and European Great Expresses Company), also written in French on the other side of the car: COMPAGNIE INTERNATIONALE DES WAGONS-LITS ET DES GRANDS EXPRESS EUROPEENS. It’s already quite impressive from the outside, so I can’t wait to take a look at the interior. We board the train and start walking towards the first car, where we have our table. 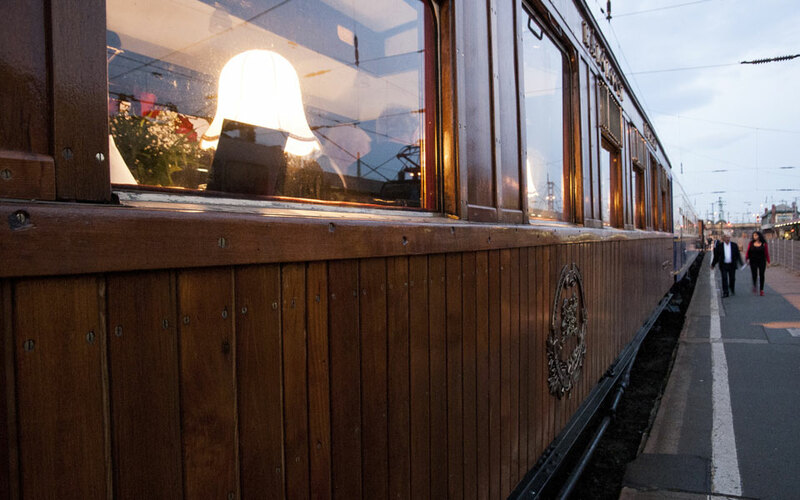 As we go through the different cars, I certainly feel the classy atmosphere and when we arrive at the Orient Express car, I can easily imagine the time when traveling by train was still a luxurious means of transportation. The car is a great example of how design, elegance and practicality can be perfectly integrated. For instance, the chairs do not only look elegant but they are also very comfortable; the luggage racks are not only practical but also designed with great attention to details. The tables are set beautifully, all the candles are lit, and the waiters are making last-minute arrangements so that everything is all set by the departure time. We leave the railway station at 7:00 pm. White-, Rosé-, and Red wines are served and the first course also arrives soon enough. There are three types of menus that passengers can choose from when purchasing the ticket: two menus with meat options and a third menu for vegetarians. 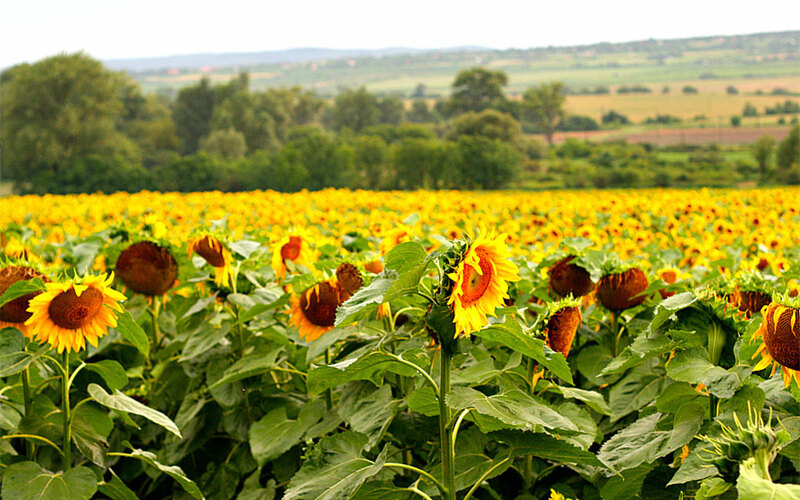 The first- and main courses are served on the way to Gödöllő, while dessert is served on the way back. For starter, I have a salad with Mangalica ham and then continue with a duck steak accompanied with crushed julienne vegetables, croquettes, and a delicious almond-sour cherry sauce. Time goes fast on the beautiful Candlelight Express and around 8:30pm we already arrive at Gödöllő. The Royal Waiting Room, which was recently renovated, is a separate building and it used to be the private waiting room of the royal couple, Elisabeth “Sisi” (Empress of Austria and Queen of Hungary) and Emperor Franz Joseph. The colors, the furniture, and even the green textile wallpaper recall a time when this building accommodated royal families. 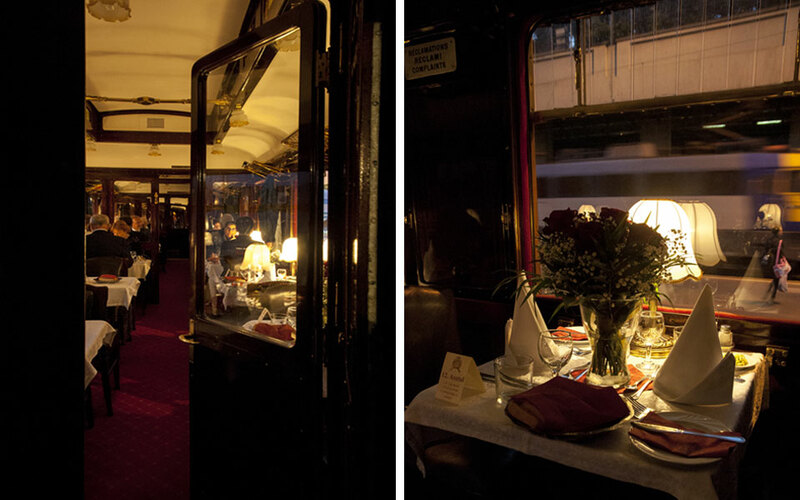 The photographs on the walls are quite astonishing, showcasing the most luxurious train cabins and restaurant cars. 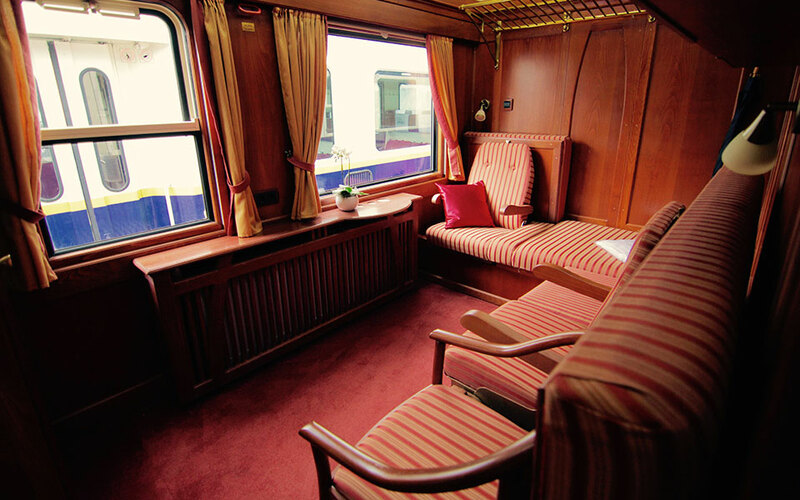 In some of the pictures, there are proper saloons with beautiful furniture and definitely more space than we can find on most of the trains nowadays. Besides royal trains, the exhibition also features some items that belonged to Sisi, such as her gloves. Then we all enjoy a 30-minute concert by Hungarian singer Laura Cserpes before we board the train again to start our journey back to Budapest. It’s only end of September, but the weather is already chilly in the evening, so it’s nice to get back on the cosy train. The way back to Budapest is a lot faster and we only have time for our dessert, a delicious cheese cake with mascarpone and dill, and another glass of wine. Some passengers celebrate their birthdays or anniversaries on the Candlelight Express so they also surprise themselves with cakes and flowers. We roll into Nyugati Railway Station and as I get off the train, I find it hard to get back to reality: after all, compared to the Orient Express, everything seems a little ordinary. 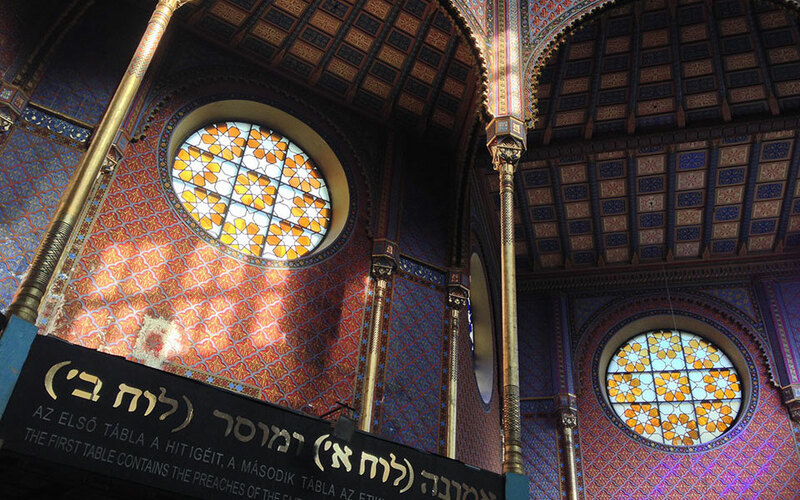 Our tickets were provided by MÁV Nosztalgia, but all opinions and observations are our own. Click here to get your ticket for the next Candlelight Express! 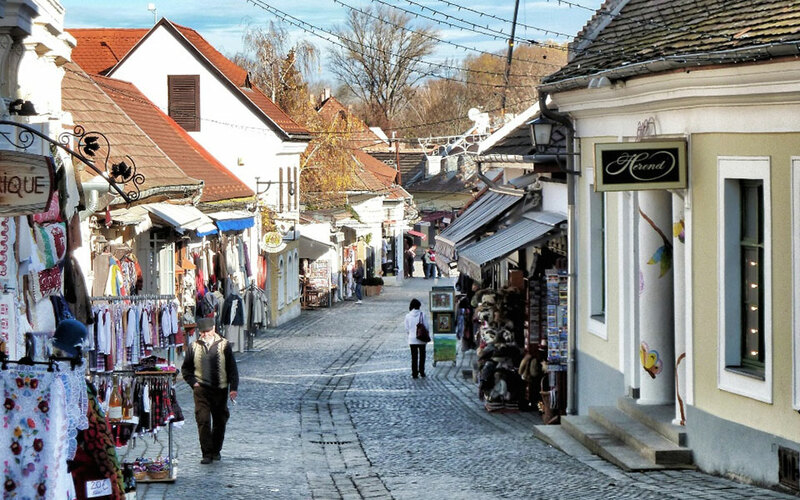 Make the most of your trip between these two cities while visiting the beautiful countryside with wineries and castles. 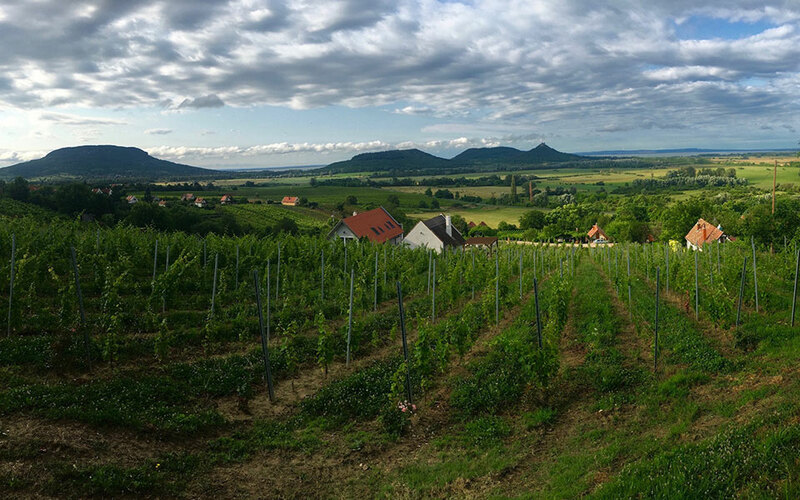 Explore Hungary’s beautiful wine regions while visiting the best wineries and enjoying wine tastings and a delicious lunch.